Attention Cat Lovers! This Is Weekend Cat Blogging #50! 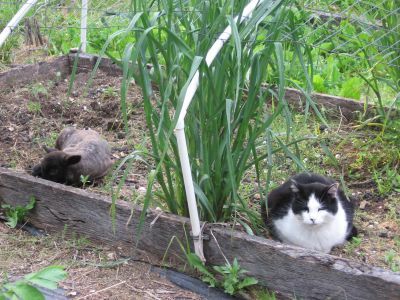 See cute cat photos & discover yummy new food blogs. Visit my pal Clare & her crazy Cat Kiri at Eat Stuff in Australia for all the links to this week's kitties. For more frolicking felines, catch the traveling Carnival Of The Cats each Sunday night. And the weekly Friday Ark boards dozens of cats plus all kinds of other critters. Little Cary is becoming the farm sweetheart. 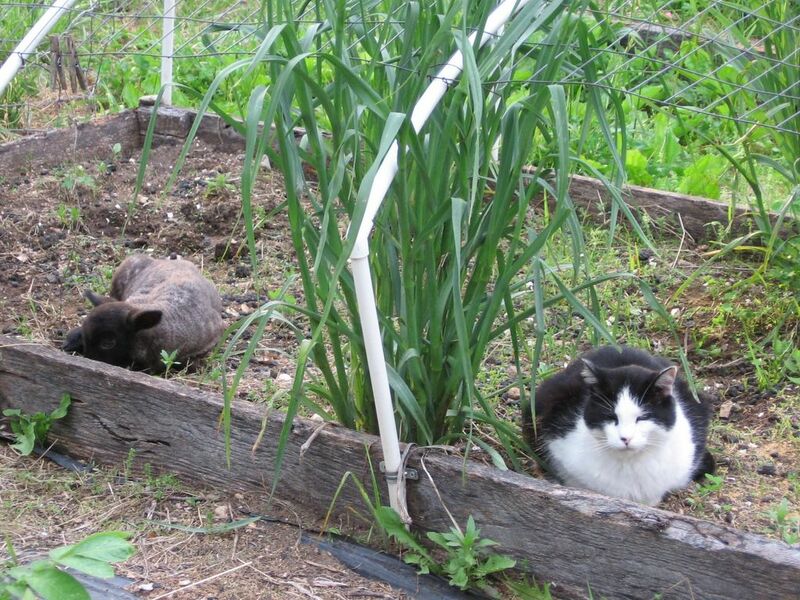 Everyone from Dan, Bear, Doodlebug, and Patches seems to want to be her friend. She's going to win the Miss Congeniality award. Do you think Cary would like a trip to Italy? I think so. Right now she could be in an under the seat carrier. That is just too funny! 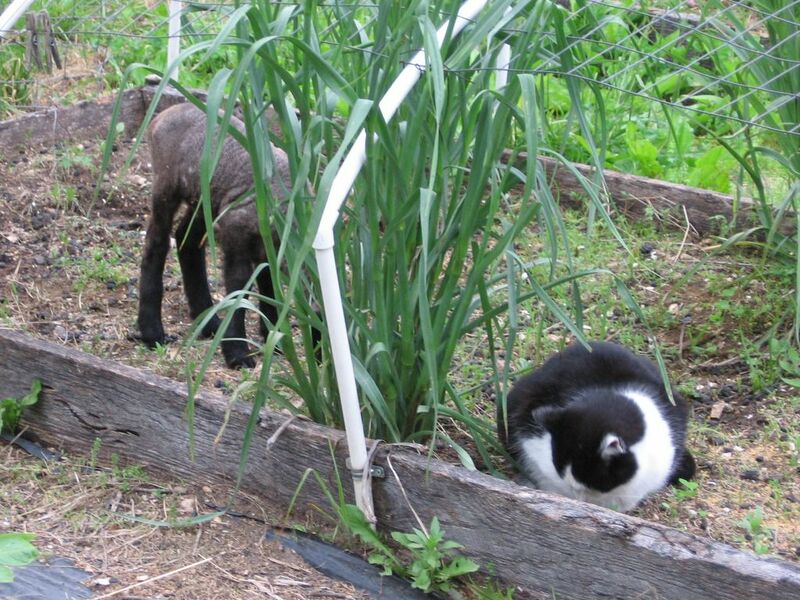 Who would ever think that a baby lamb and a cat could hide out together "on the lamb"? lol! 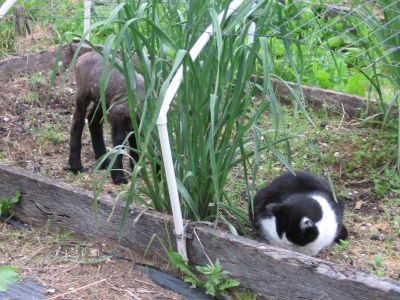 Wow Farmgirl... your cat looks bigger than the lamb! Who's influencing who!? Oh, that is such a wonderful picture! LOL! I love the 2nd pix of both of them hiding their faces. How adorable! The cat's obviously a great babysitter!